Let's manage daily necessities with your hand! お問い合わせの前に今一度、下記内容をご確認ください。 Please check the following contents before asking. アプリの設定画面から購入できます。 You can buy at "Config" scene in this app. 期限が迫っても通知がこない。 The notification reminding the exp-date has never appeared. -> Select ItemKeeper from list. -> Check the notification allowing state. カテゴリの名前変更、削除ができない。 How to change or delete the Category Name. 編集、削除操作ができます。 If you swipe to left on the category name at category select, you can edit it. カテゴリの備考（小さい文字）が入力できない。 We can't edit Category's remark (the small letters). 自分で新たに登録したカテゴリには備考を設定する機能はありません。ご了承ください。 Sorry, the new category created by yourself can't append the remarks. ヘビーユーザモードを購入したのに広告が削除されません。 I purchase the Heavy User Mode, but why don't Ad deleted? 広告の削除サービスは全画面広告のみです。画面上部のバナー広告は消せません。 The Ad hide service is only for the full screen Ad. The banner Ad on top of the screen can not hide. Please note that. When the app was force finished, it occurs sometime. Please try the following way. - Select the Android&apos;s "Settings" on your device. 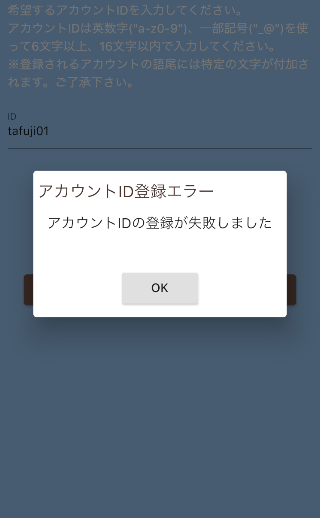 アカウントの登録が失敗する The account register process is failed. 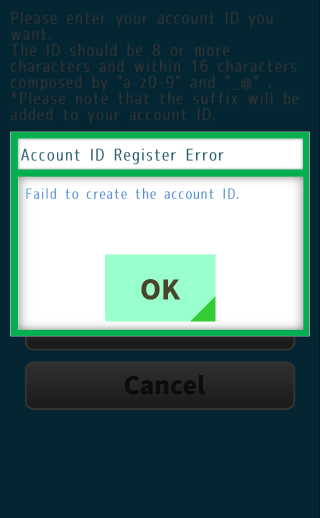 The account ID already exists or the network connection is failed. If the former occurs, you should change to another ID. When the latter case, please retry after checking your network environment. 一度購入したアイテムについて About the accounting item you purchased. 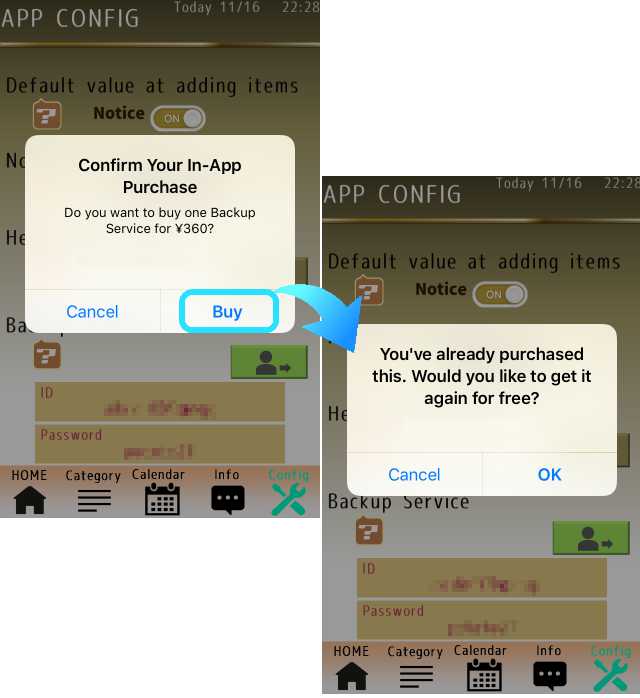 If you have purchased the Heavy User Mode and the Backup service before, you can restore using same apple ID on same device. Then the app shows following screen. If you proceed that process, you can use those services without accounting. 「ここを出たとき」再通知が来ない。またはお知らせ画面から設定できない。 "When you left here" - I didn't get notification again. Or we can not set from the notification screen. 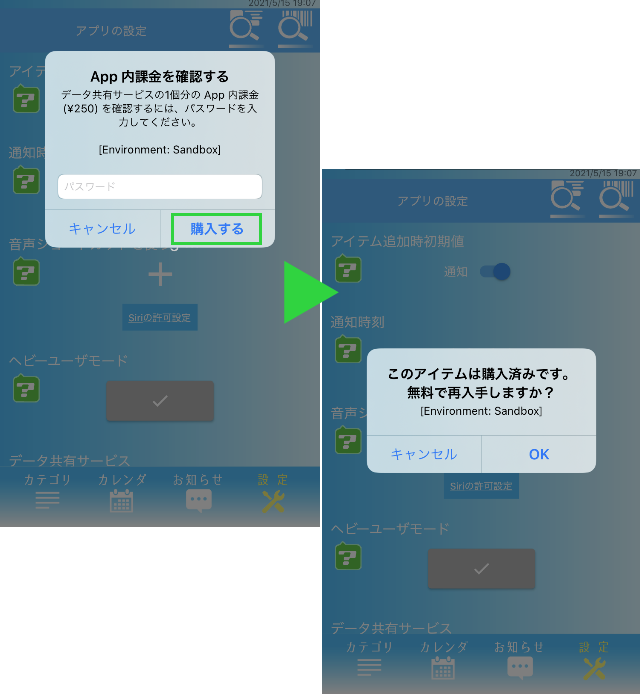 iPhoneの方はデバイスの設定から期限キーパーアプリに対して位置情報が「常に許可」となっているかご確認ください。Androidの方はデバイスの設定から期限キーパーアプリに対してGPSでの位置情報を「常に許可」してください。また、GPSの電波が届く場所から再通知設定をご利用ください。 For iPhone, please check if the "location" is "always" for the ItemKeeper app from the device settings. For Android users should "always allow" GPS location from the device settings to the ItemKeeper app. Also, please use the "Remind" setting from where GPS radio waves can reach. If you can not solve the above, please contact us from the following mail icon. © 2016 Riz-works. All Rights Reserved.